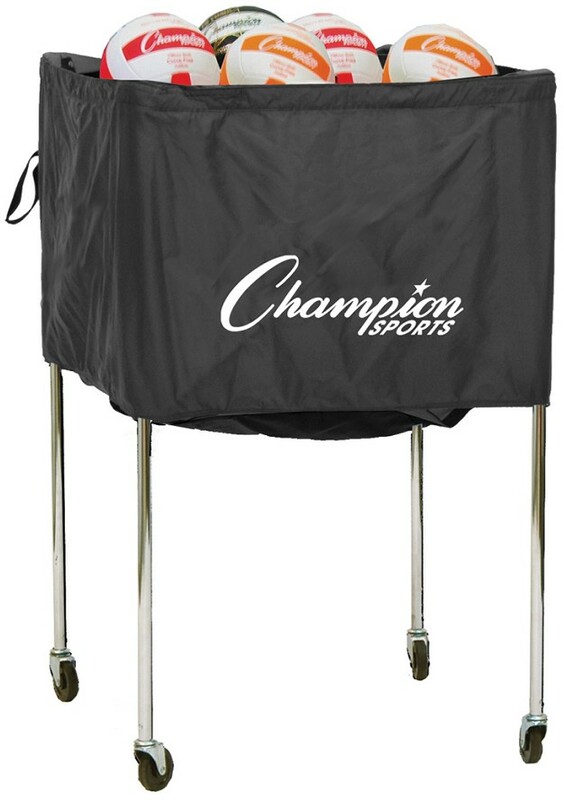 This folding volleyball cart features a durable black nylon basket and sturdy aluminum frame. The cart's large capacity holds 30 inflated volleyballs and folds for easy transport and storage. Non-marring swivel caster wheels allow for smooth movement around the gym floor.